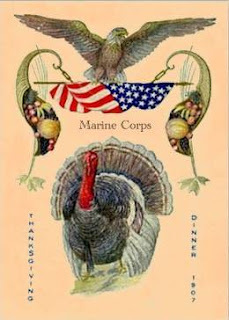 Timmy is far away doing training (and pretty much out of cellphone reception) and will not be home for Thanksgiving; perhaps they will hand out little cards like this to them at their Thanksgiving Dinner --? not lol! A Happy Thanksgiving Day to all! Timmy looks adorable.I can see why his date is holding on so tightly to him. And the turkey card is amazing! He's someone to be proud of, as I am of my Air Force son. They have to be away from home a lot in order to protect all of us. And we have to keep the home fires burning, so to speak. Happy Thanksgiving. Happy Thanksgiving! Thank you to Timmy for his service and sacrifice. Happy Thanksgiving!!! Sorry Timmy can't be with you today. Hope he is getting some sort of turkey dinner. 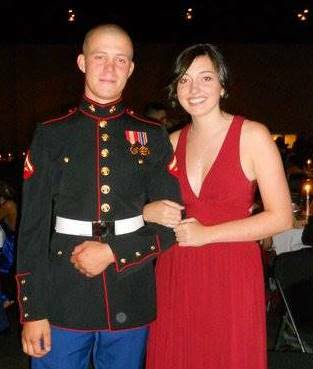 He looks so handsome in his uniform--you must be so proud. Wishing you all the best! how handsome - Happy Thanksgiving to you too! My heartfelt thanks to your son and to your family for sharing him. I pray he remains and returns safely to you. Blessings! What a great picture! Timothy still looks like Timothy even with the Marine hair cut. How very handsome He is! Happy Thanksgiving and you are blessed. What a great photo of your boy (man *s*)at the ball!